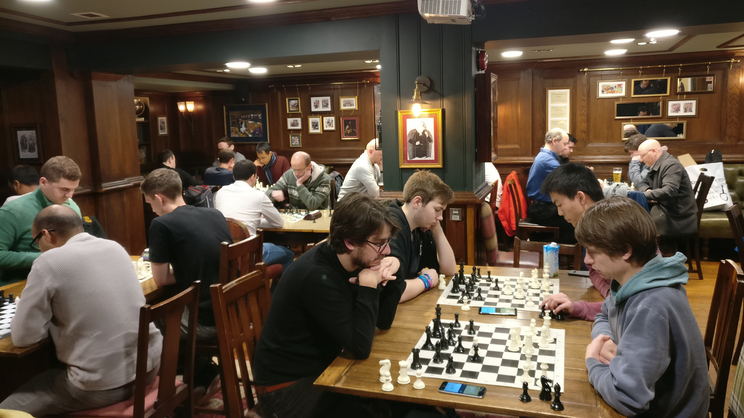 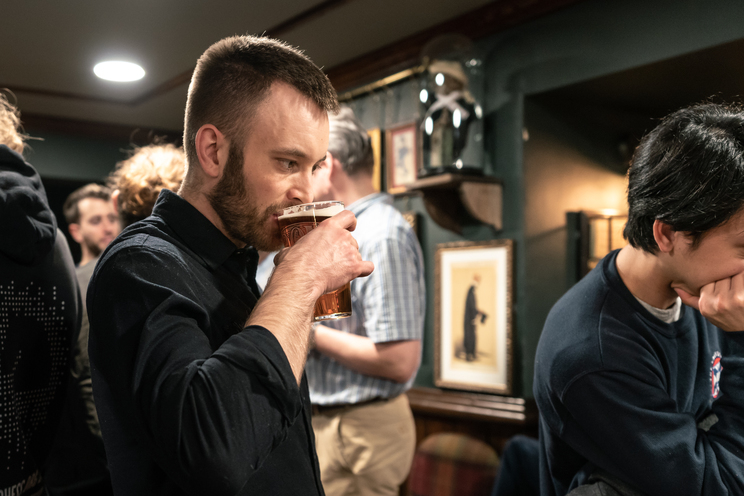 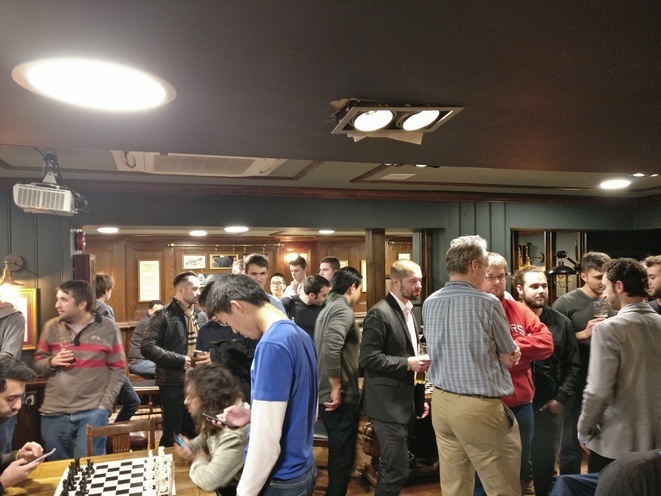 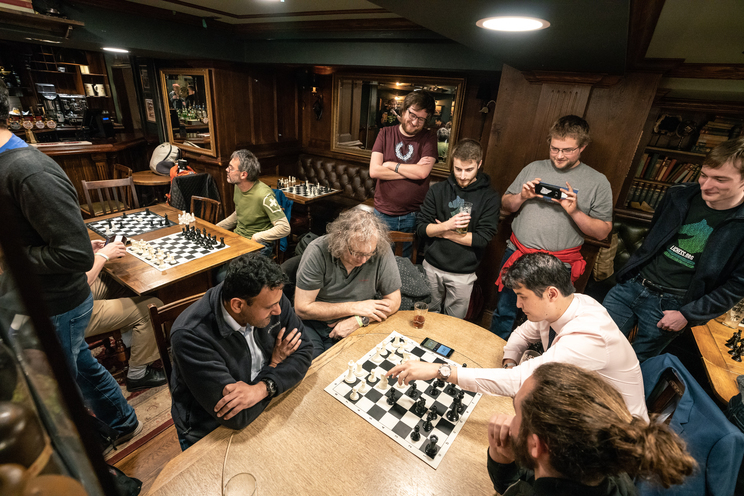 Last Saturday, Lichess held a Meetup in London, in a pub near the World Championship Venue. 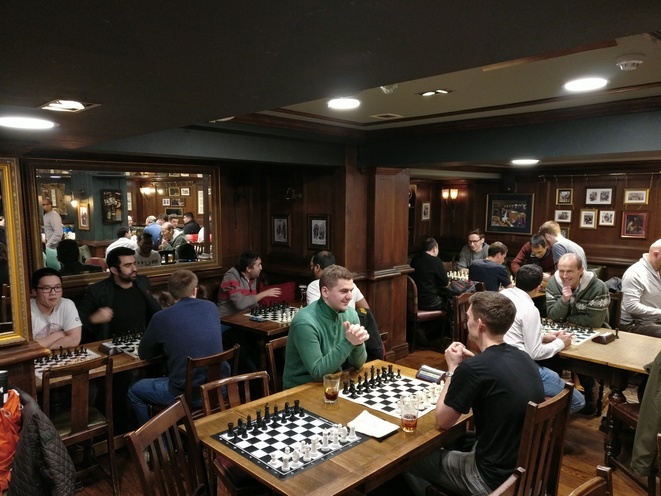 People turned up en masse, from beginners to seasoned players, making the evening a huge success, as demonstrated by this heartwarming reddit post. 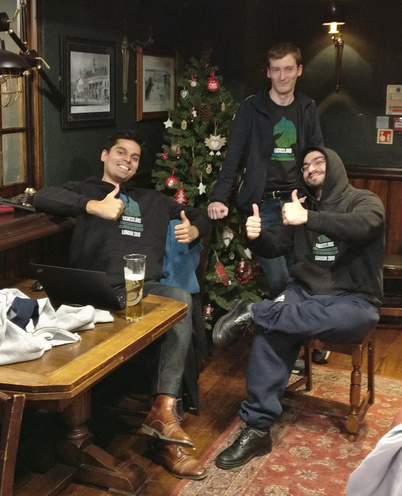 Thanks to all the players that took part in our blitz tournament, and congratulations to the top 3 finishers: Robbie Cahar, Anil Cengiz and Eric Rosen, who all got a limited edition London Meetup hoodie. 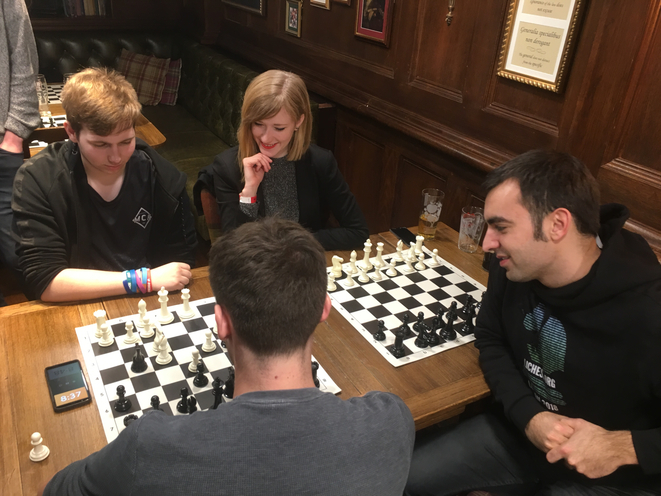 While the team didn't have time to work on Lichess features for this Meetup, we still had time to take some pictures, enjoy our selection below.